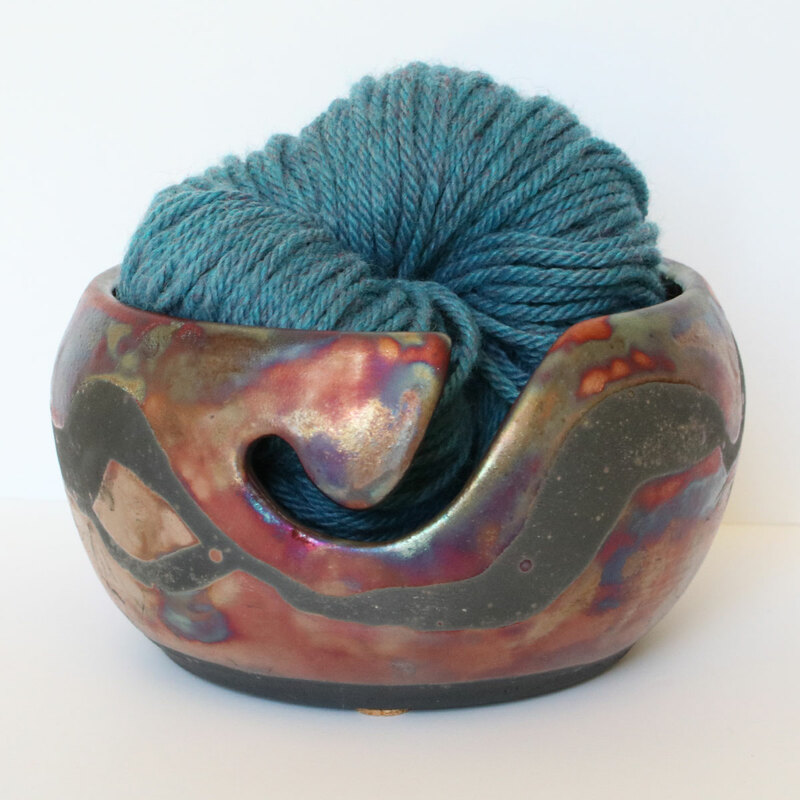 These handmade clay yarn bowls, created by Jim Atchison of LickinFlames, are individually decorated making them all completely unique! And while each piece is fired in the same manner, variation does occur which also adds to their uniqueness. 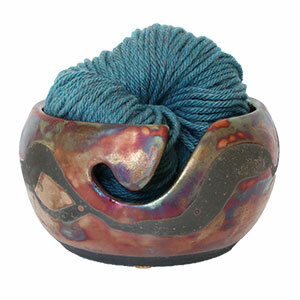 Designed for use with fibers of all types, these bowls are perfect for your yarn whether it's in a cake form or a ball. 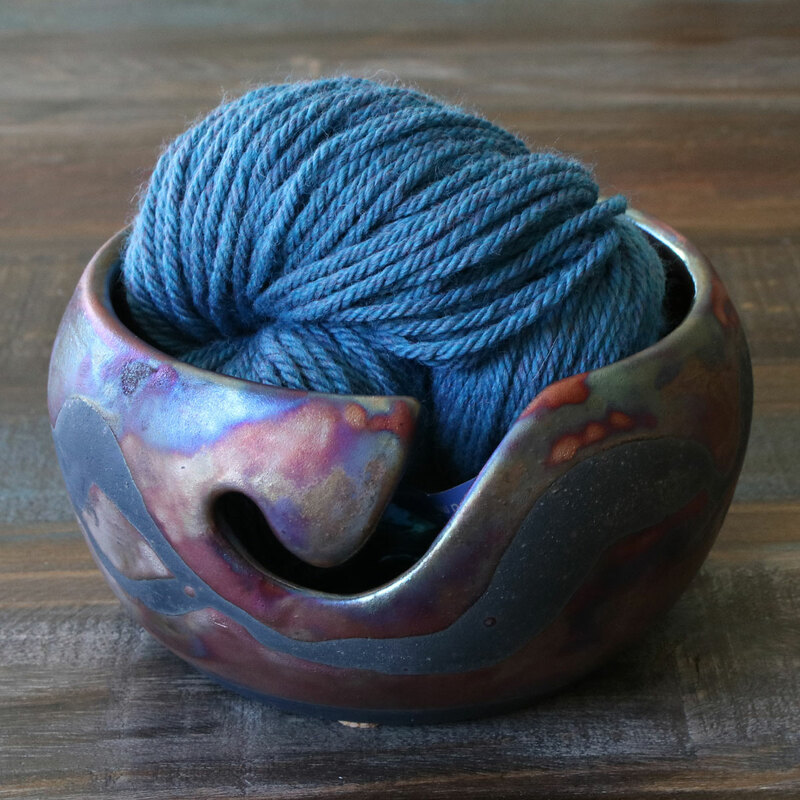 The inside of the bowl features a smooth and shiny dark glaze, so there are no rough edges that will snag your yarn. Gleener Fuzz Remover - Ultimate Fuzz Remover - Slate Blue and Soak Basins - Carrie - Blue are both similar accessories: specialty tools.